Add storage and style to any room in your home with this accent cabinet. The two doors on the cabinet feature a diamond shape geometric wood overlay design that adds texture and symmetry to your space. The gold brass finish metal base and door pulls add to a subtle mid-century feel that would look equally at home in a boho or eclectic decor. 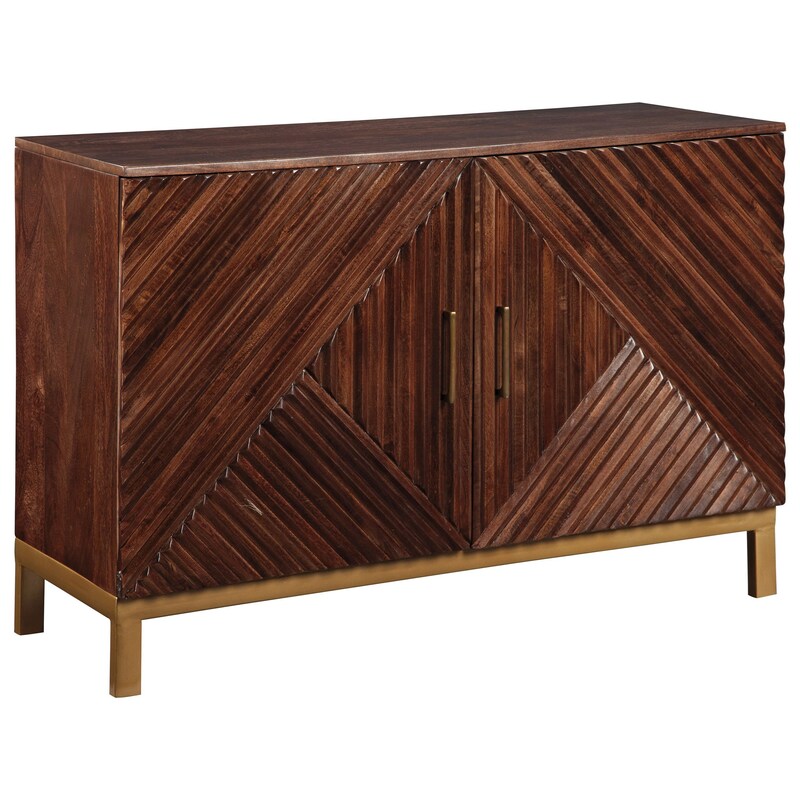 The Forestmin Geometric Overlay Accent Cabinet with Brass Accents by Signature Design by Ashley from Nashco Furniture - Nashville. We proudly serve the Nashville, Franklin, Brentwood, Clarksville, Green Hills, Davidson County, Williamson County, Tennessee area. Product availability may vary. Contact us for the most current availability on this product. Storage Door opening (2) 22.00" x 14.25" x 22.63". Top opening (2) 22.00" x 14.25" x 10.63". Bottom opening (2) 22.00" x 14.25" x 11.38"